The fruits of several different cactuses are called pitahayas. 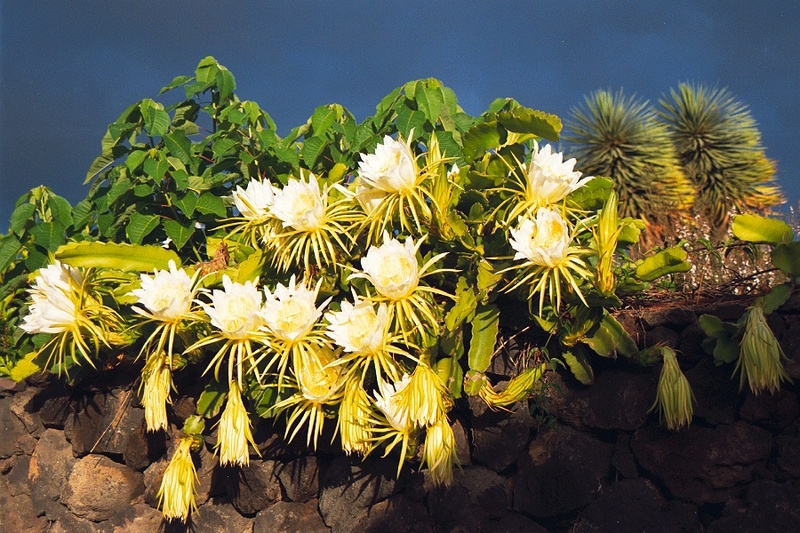 The yellow ones in the picture are Hylocereus megalanthus, and the pink ones are Hylocereus undatus. To be honest, I was rather disappointed by the (lack of) flavour of them both. Some time ago I had what I think was a Hylocereus costaricensis, which was deep red all the way through, and much tastier. 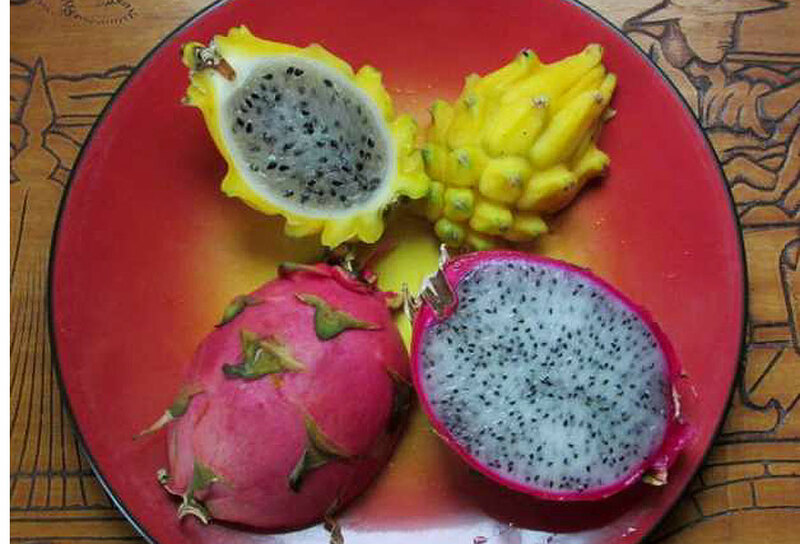 I’ve eaten the pink skinned kind in your photo (I know them as dragon fruit) and agree they’re more exciting to look at than to eat. The plants look even better though – not as I’d have imagined at all. Can’t you squeeze one in somewhere?